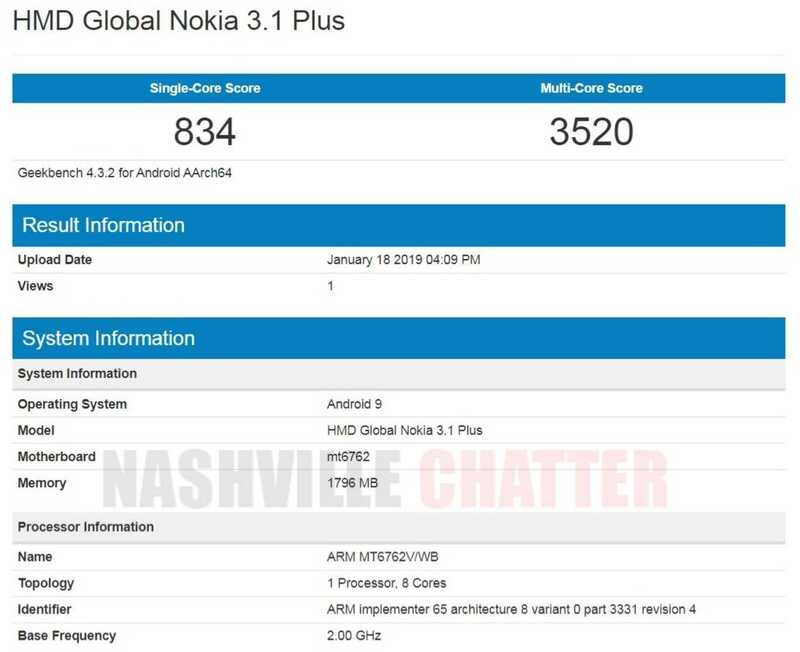 The Android One phone Nokia 3.1 Plus could be the next device from the brand to get upgraded to Android 9 Pie. Nokia has already released Android Pie upgrades officially to as many as 7 phones. Nokia 7 Plus was the first device to get treated with Android Pie back in September 2018. Then followed Nokia 5.1 Plus, Nokia 6.1, Nokia 6.1 Plus, Nokia 7.1 and Nokia 8 in the last quarter of 2018. Nokia 8 Sirocco was the first phone in 2019 to get the upgrade and the update was rolled out about 10 days ago. Nokia 3.1 Plus is a relatively new phone that was officially released only in October 2018. This is an Android One offering from Nokia and the phone came with Android Oreo 8.1 out of the box. It is powered by MediaTek Helio P22 SoC and comes in two RAM variants namely 2GB and 3GB and two internal storage variants namely 16GB and 32GB. This Android One phone has a 6″ display with a resolution of 720×1440 pixels. Camera specs include dual 5MP and 13MP at the rear and 8MP at the front. The battery is 3500 mAh. This is a budget phone that has considerably low end specs and costs around $150. Having spotted on Geekbench, this phone can be expected to get the update anytime soon in January or in February probably! Nokia is pretty quick at rolling out these upgrades. The other phones expected to get Android Pie upgrade in Q1 2019 are Nokia 5, Nokia 5.1, Nokia 6 and Nokia 7. Other old devices would probably be updated only in the second quarter of 2019 or after that. It’s also worth mentioning that Nokia 3.1 Plus recently received January security patch updates along with Nokia 7.1 earlier this week.